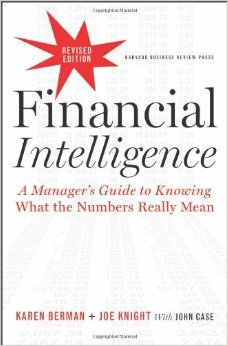 If you cannot understand finance, then you cannot understand a business and cannot take the most informed decisions. And yet, many of us don't stem from a finance background. Financial Intelligence was precisely designed to bridge that gap. Tailor-made for busy executives, Finance Intelligence is accessible, jargon-free, and filled with entertaining stories of real companies. Since its release in 2006, it has become a favorite among managers who need a guided tour through the numbers, helping them to understand not only what the numbers really mean, but also why they matter. It's not designed to give you. To find out more about how much finance you need to know as a starting consultant, take a look at this insightful article from Firmsconsulting.